Since 2007, burners head up to Tankwa Karoo to create, and subsequently take apart, a community filled with art, music and camaraderie. 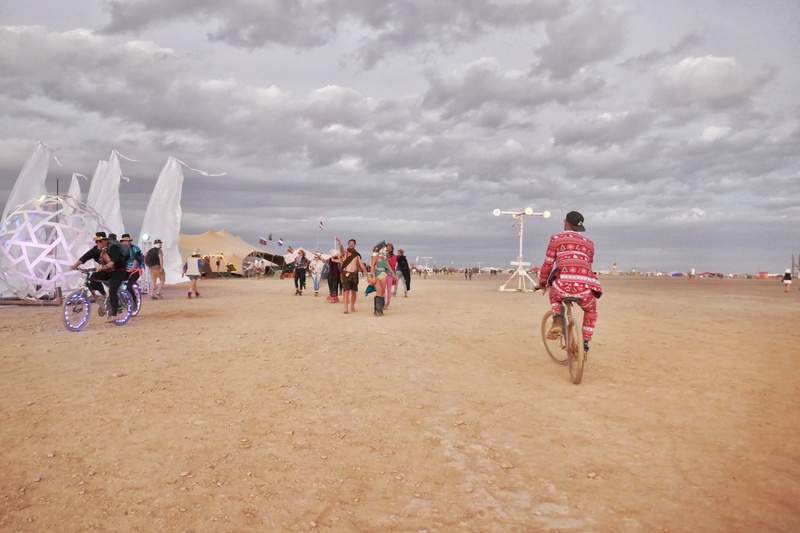 Afrikaburn is the continent’s largest regional burn – a spinoff of the United States’ Burning Man. 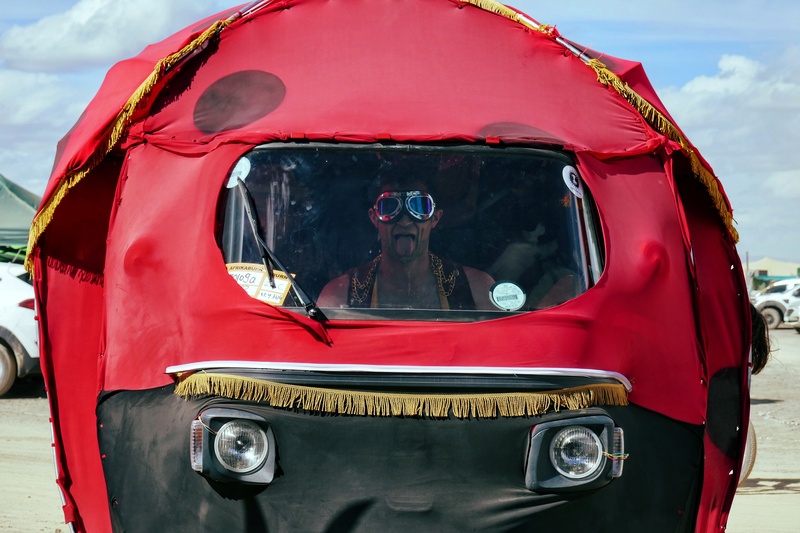 I stayed at Once in Cape Town on my way to and from the burn and in this post, answer your questions about what Afrikaburn is, what it’s like and how to attend it. While Burning Man is the most popular and well known, burns take place all over the world annually, large and small. It’s important to know that burns are not events put on for attendees, but rather by participants. It is not a music festival. It is a week that is created through the participants themselves. 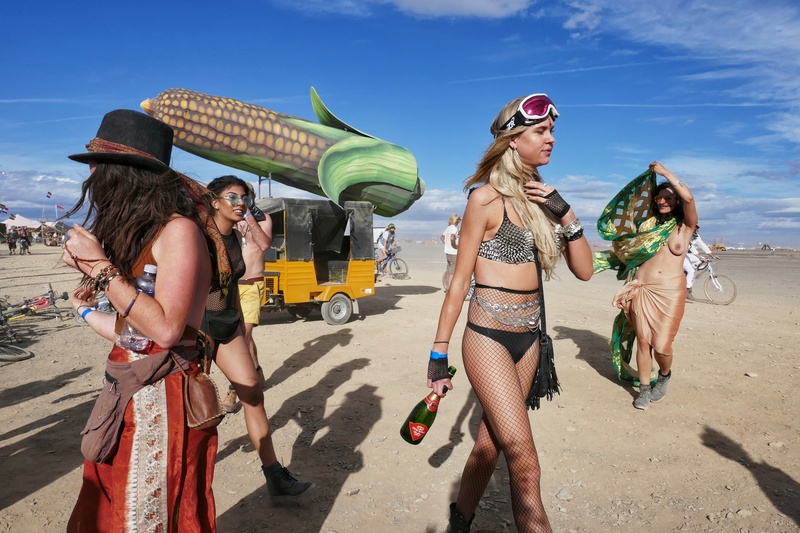 The main thing to know is that individuals are part of theme camps, and those theme camps create the burn by bringing art, music, food, drinks, activities and more (think of a naked car wash). Burns are gatherings of like-minded individuals, guided by 11 principles. 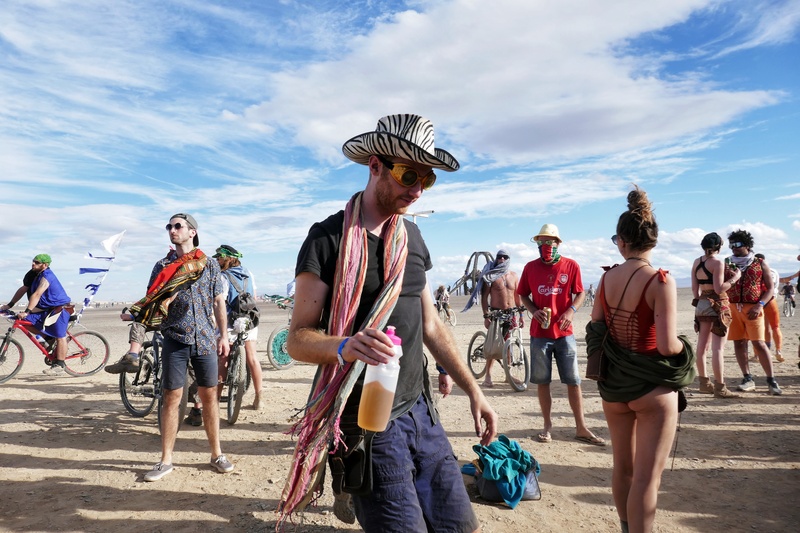 You can learn more about the Burning Man guiding principles here, but they are: radical inclusion, gifting, decommodification, radical self-reliance, radical self-expression, civic responsibility, leave no trace, participation, immediacy and each one teach one. What do you do at a burn? 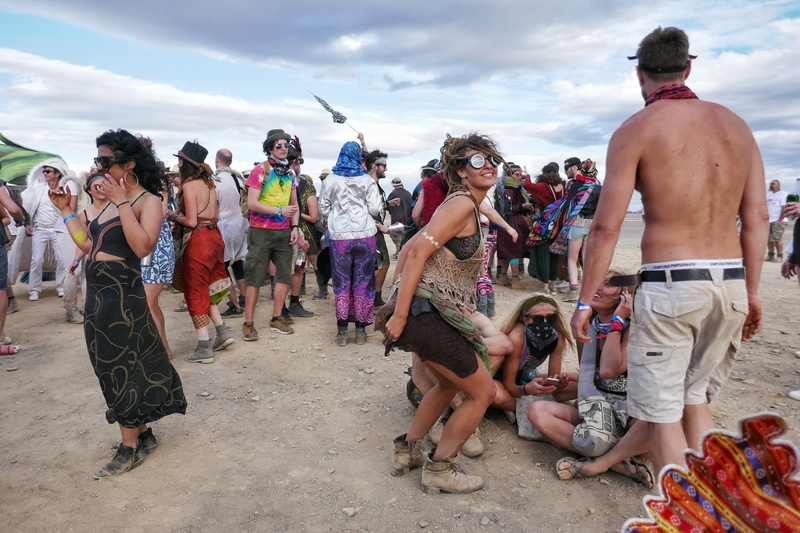 So if Afrikaburn isn’t a music festival or an event with a detailed schedule, what do you actually do? Apart from the schedule of art to be burned, there is no schedule of activities. You fill your days by exploring the Binnerking and the camps, and seeing what everyone else is up to. For example, Alienz Coffee shop serves up espressos and tea in the mornings, while a few camps are flipping pancakes. 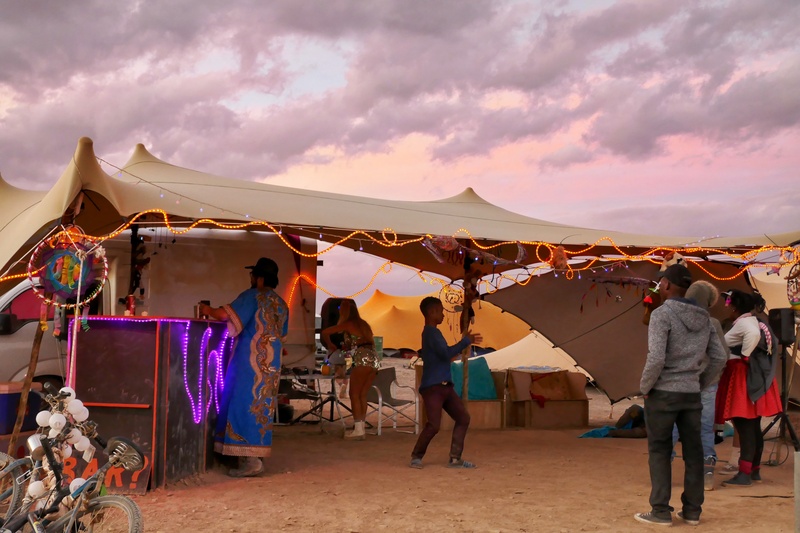 Then you can make your way to a camp that’s having a jam session or even yoga. 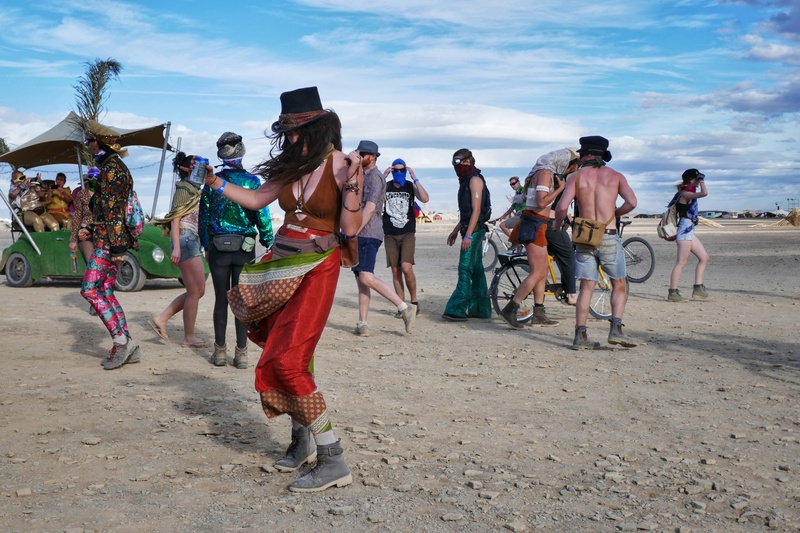 Walk around and look at art, swing by and get washed in a naked “car” wash, head back to camp and rest for a bit, then head back out to dance the night away and watch the burns. That’s the beauty of a burn – everything about your experience is unique to you and what you make of it. It can never be repeated or replicated. I spent the week wandering in and out of camps, meeting new people and trying new things. I enjoyed the art – especially the interactive art and the burns. 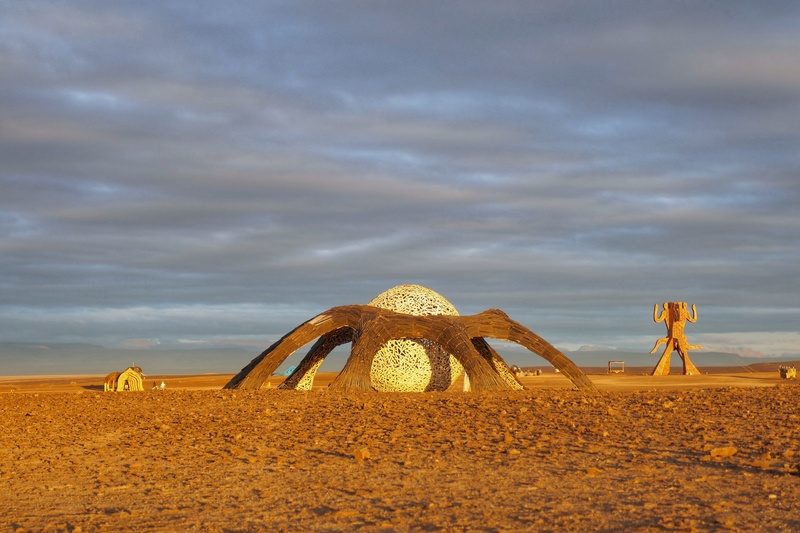 Afrikaburn is held near Tankwa Karoo National Park, a few hours from Cape Town. Tankwa Town is in the middle of a large desert, which means that the weather and experiences will vary wildly from year to year. In 2018, we had mostly beautiful weather the entire week, but cold nights. The reason the weather matters if that most of your activities are happening outside, so it’s important to prepare for different scenarios so you can still partake, whether it’s windy or cold or blaring hot. I had the best time and I went to Afrikaburn solo. But I also was a bit jealous of the camps of groups of friends who’ve known each other for years and been preparing for at least months. Each has its benefits, but finding yourself solo is not a reason to skip the burn. Personally, I came to South Africa solo and planned to head to Afrikaburn on my own as well. But I joined a theme camp so I knew I’d have some people to hang out with and posted in one of the Facebook groups that I was looking for a ride. From a response to that post came quite the adventure! I linked up with another burner headed up who not only had space in his Jeep, but space in his tent (which saved me the headache of trying to rent or buy gear with only one day in Cape Town to prep). We rode up together and set up camp together, but the beauty of a burn is that you make friends as well. So neither of us felt pressured to suddenly spend 24 hours a day together. Our camp neighbors were absolutely epic and they also welcomed me into their little ladybug camp. The best part of Afrikaburn for me was the size. 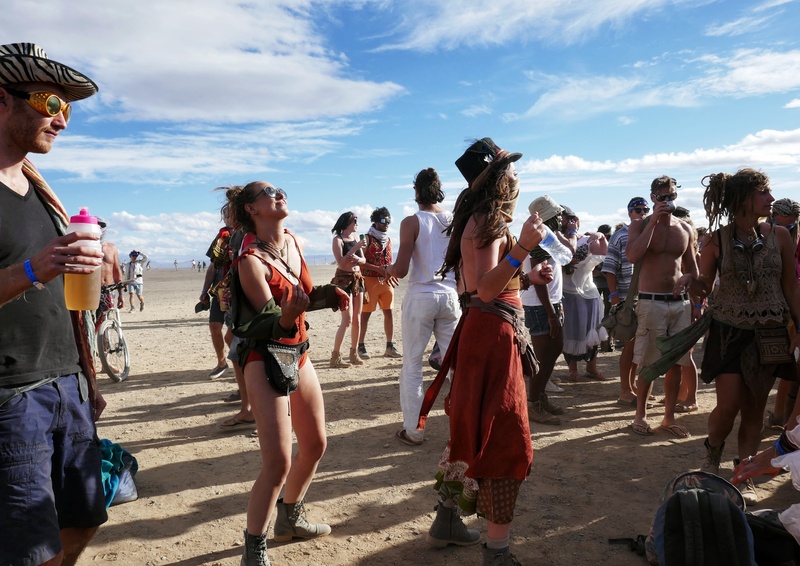 At 10,000 people over the week, it is a reasonable amount (compared to Burning Man’s 60-70,000). This means that there are thousands of people to meet, but when you leave them and say, “see you later,” you aren’t lying! You can run back into people throughout the week, even if you can’t communicate or coordinate meetups (there’s also a set of chalkboards to leave messages for people). 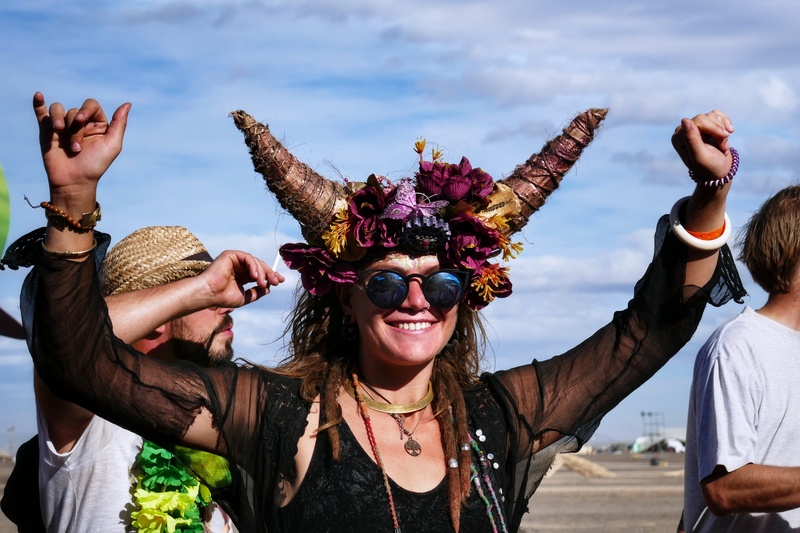 What do you wear to Afrikaburn? Short answer, whatever the heck you want. The principle of radical self-expression means that you are free to dress however you choose – plain, bright, sparkly, lit up or naked, it’s completely up to you. As long as your self-expression doesn’t infringe on anyone else or any other principles, feel free. Do keep in mind when putting together your outfits that things like feathers and gems very quickly become MOOP (matter out of place) and are frowned upon. A few things you should be sure to have are a dust mask (something to cover your face when it’s windy), a warm jacket (no matter the weather, the desert usually gets cold at night) and closed-toe shoes (think about dirt and dust everywhere). 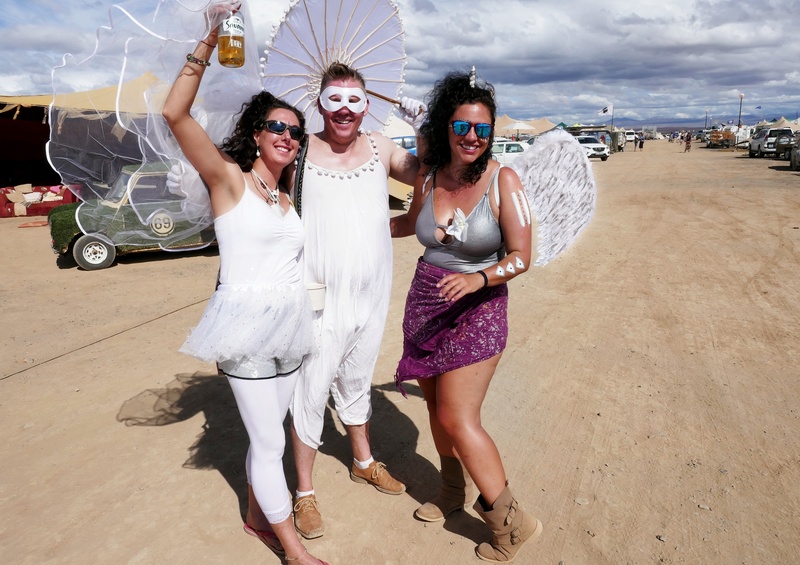 In terms of putting together fun outfits, you can consult the Afrikaburn website for theme days and it’s always better to start with thrift shops and second-hand stores to look for treasure rather than finding cheaply made stuff you’ll only use once and then throw away. 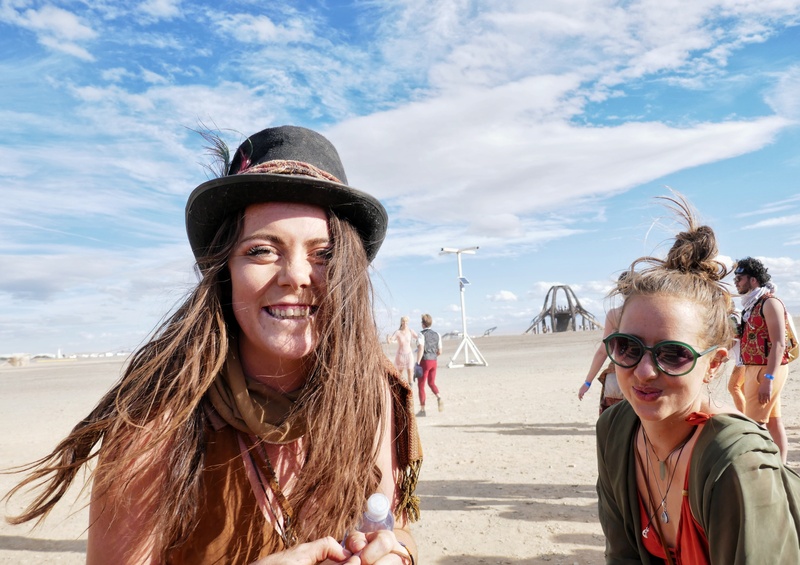 Check out this in-depth guide to Afrikaburn for a packing checklist, ideas on what to wear and stores to shop at in Cape Town and Johannesburg. 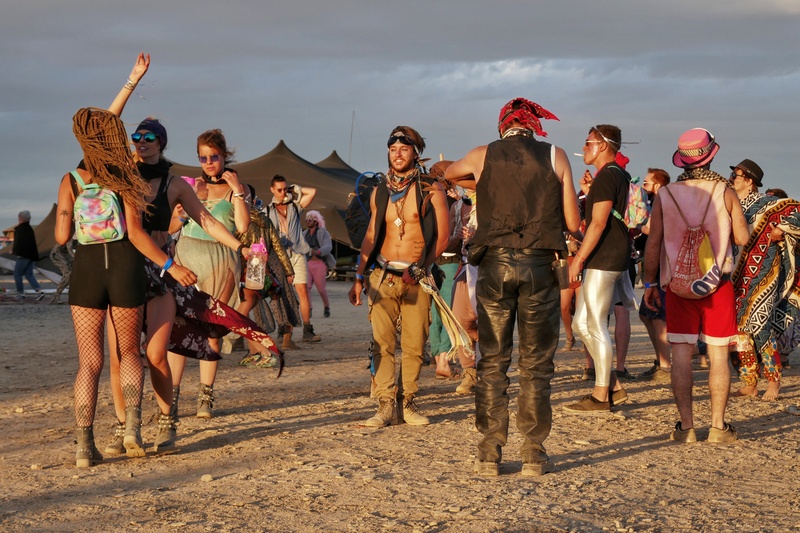 It can be overwhelming to plan for something like Afrikaburn, especially if you are coming from out of the country. Once in Cape Town is not only a great base because of its location, but can also help you with questions and getting ready . 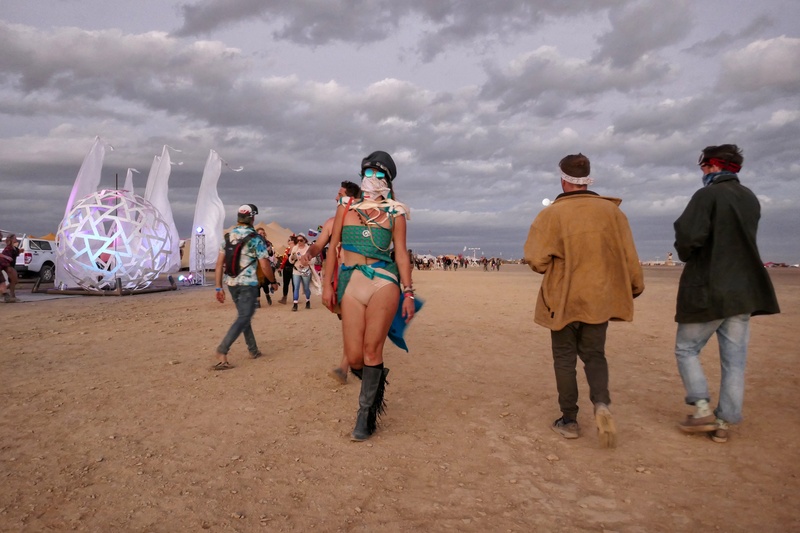 Want some inspiration to head to Afrikaburn or creativity for your outfits? 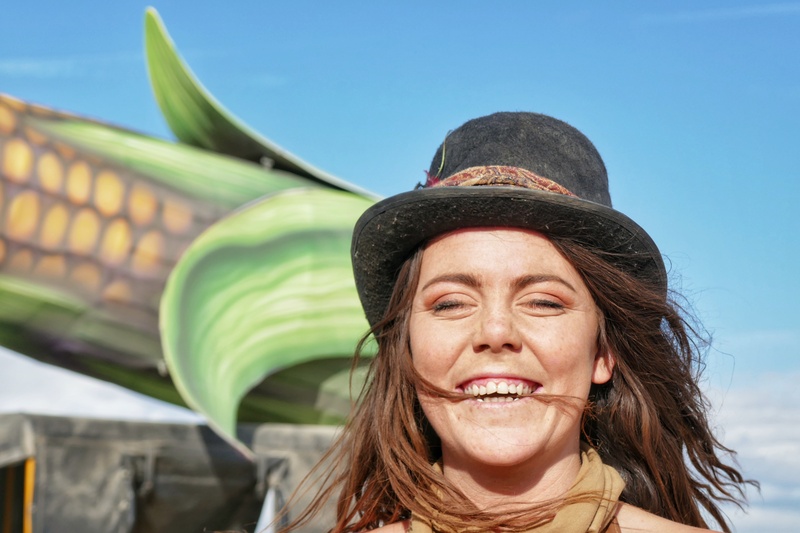 Check these photos out from Afrikaburn 2018, by Jessica Elliott.